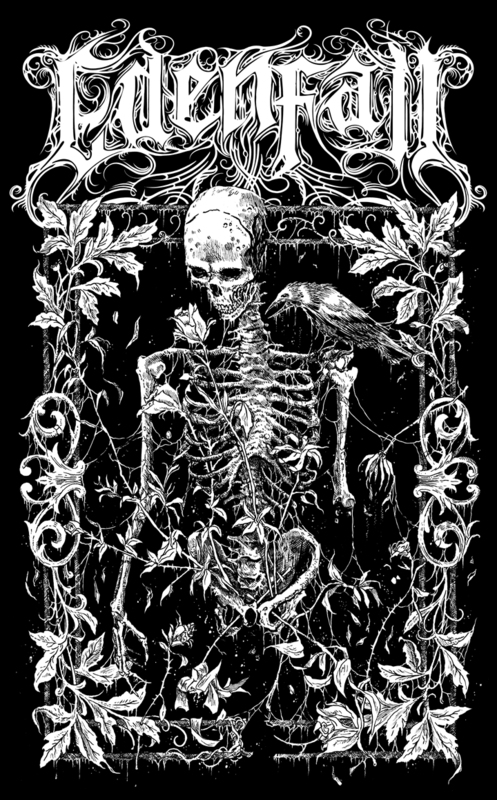 T-Shirt illustration for black/death/doom metal band, EDENFALL (UK). Be on the lookout for their new album later this year; for fans of RAIN FELL WITHIN, early-THE GATHERING, early-THEATRE OF TRAGEDY, MY DYING BRIDE, CEMETARY, etc. EDENFALL logo by Gragoth (Luciferium War Graphics). 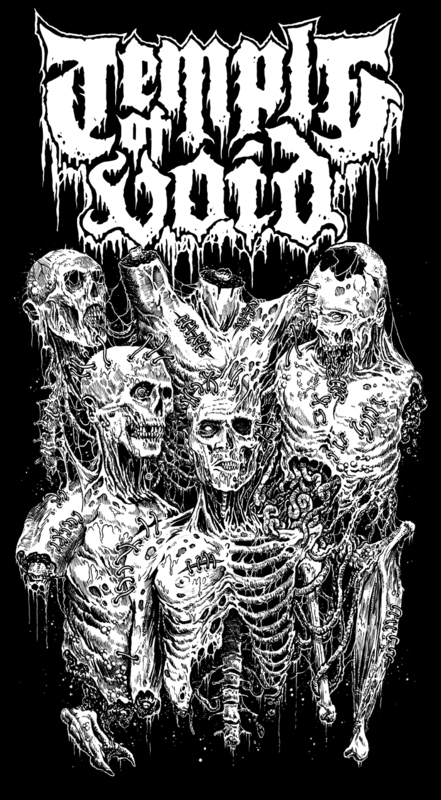 Merchandise illustration for death/doom metal band, TEMPLE OF VOID (USA). Be sure to pick up their upcoming split 7″ EP with REVEL IN FLESH (Germany), published via Unspeakable Axe Records. I’m pleased to announce this unique “Riders from Hell” collaboration with performance cycle clothing brand, MILLTAG (UK).